Every new timepiece from De Bethune is a surprise for the eyes. 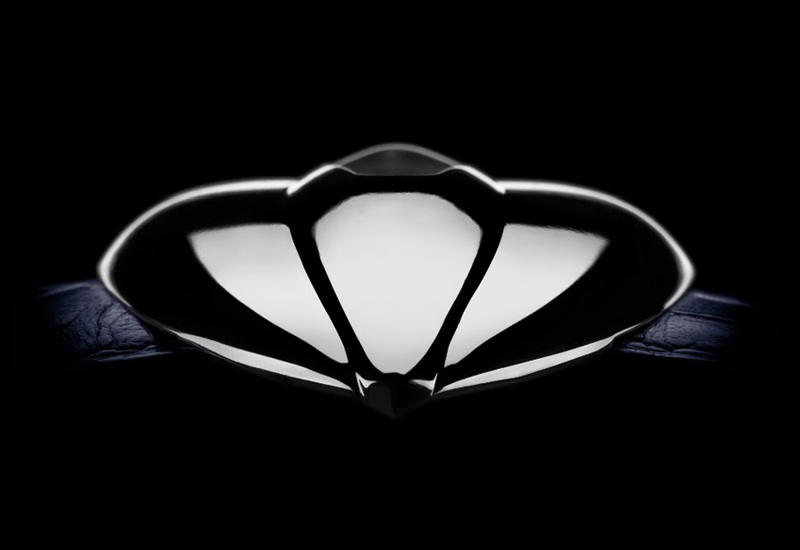 The new De Bethune Dream Watch 5 is no exception. This extreme model demonstrates the creativity - or creative folly, as they say - of the two founders, David Zanetta and Denis Flageollet. An authentic wrist sculpture, Dream Watch 5 derives its unusual shape from its predecessors and It is the result of a great and continuous work of research on shapes, materials and colours. 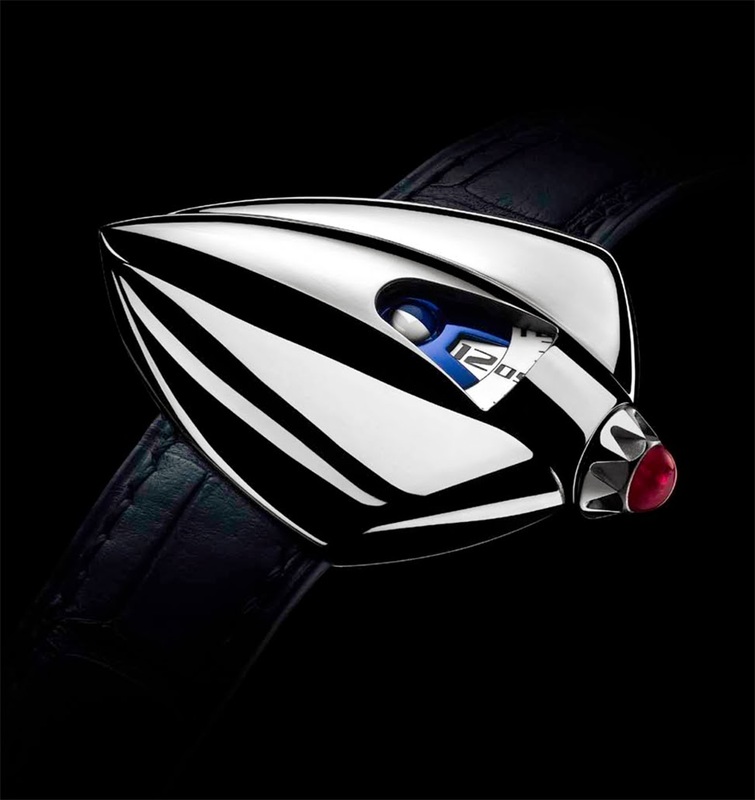 The cambered delta-shaped motif represents the major element of the collection’s aesthetic and more generally that of De Bethune watches. The dimensions of the perfectly polished titanium case are: width 49 mm, length 39 mm. The crown at 3 o’clock adorned with a 1-carat cabochon-cut ruby. The solid back bears the signatures of David Zanetta and Denis Flageollet. The miniaturisation of the mechanism demonstrates the determination to give priority to the design intent allotting a relatively small space to the display of the jumping hours, the analogue minutes (on a rotating disc) and the spherical moon-phase functions through the aperture at 3 o'clock. The mechanical hand-wound movement Calibre DB2144, featuring a patented silicon escape wheel and a triple pare-chute shock-absorbing system, beats at 28,800 vibrations per hour and offers a power reserve of 5 days. 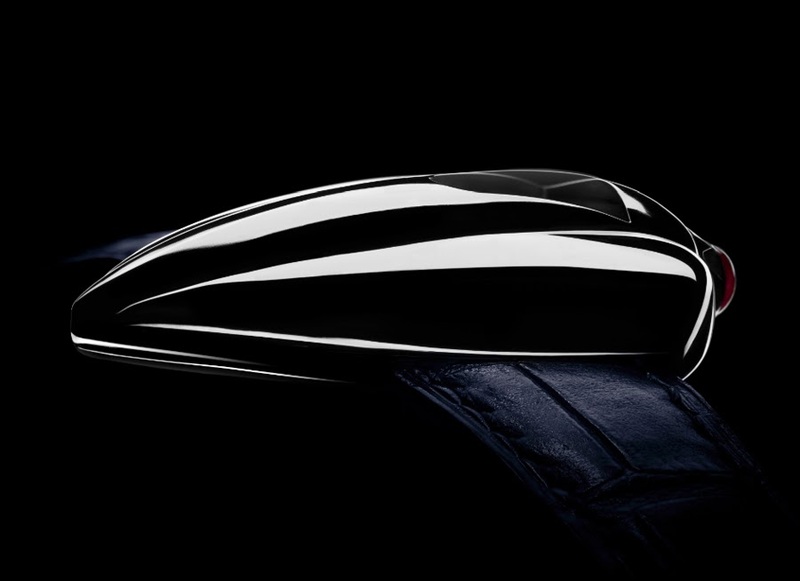 Exclusively available on order, the De Bethune Dream Watch 5 has a price of 150,000 Swiss Francs. The new De Bethune Dream Watch 5 is an authentic wrist sculpture with a small space for the display of the jumping hours, the analogue minutes (on a rotating disc) and the spherical moon-phase functions through the aperture at 3 o'clock.